Architects are trained in a wide set of skills to assist with site selection, feasibility studies and extending into property operations and maintenance. We are proud of our track record of producing clear documentation that speeds the path of construction. We are also proud to be part of the team benefiting our clients’ in the preparation stages. Two of those stages are Existing Conditions Verification and Marketing. Selecting the ideal site comes with a list of factors to consider, both technical and external. A primary external consideration is visibility. Visibility from public roadways and angles of approach can be studied through modeling. We combine existing and future site context such as buildings, topography and vegetation to analyze and create a virtual world in which the building or business will live. Technical conditions include site specific codes and ordinances that effect allowable uses, building size and height, sign location and size. Each of those factors can create boundaries that apply “by-right” or that can be modified under “Conditional Use” or “Variance” procedures. Our research includes identifying the processes and timelines to achieve approvals for the desired outcome. Just as important, the information can lead to a decision to walk away from the project. 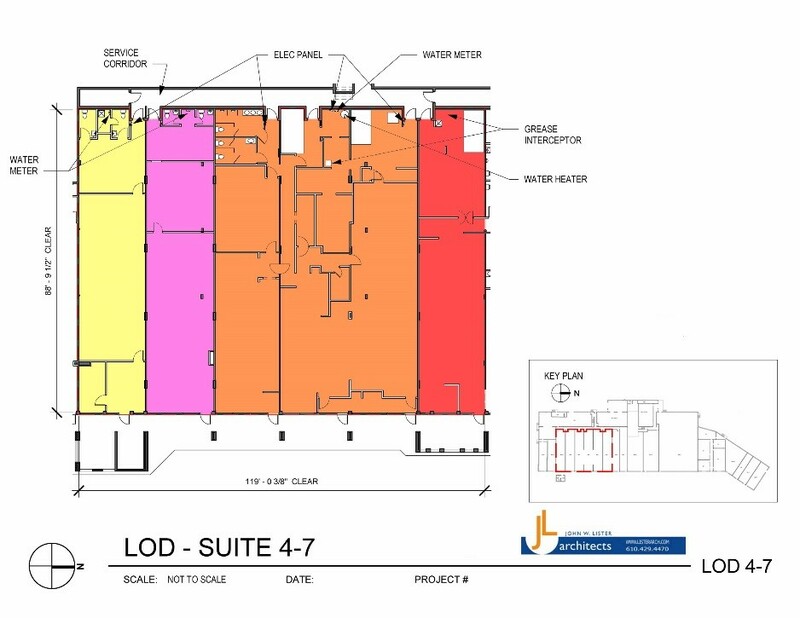 While the design process is underway, clients can use schematic visuals like plans and elevations to attract investors or potential tenants. Renderings can also be tailored to suit specific audiences, present a holistic view of the project, or focus on specific areas of importance. 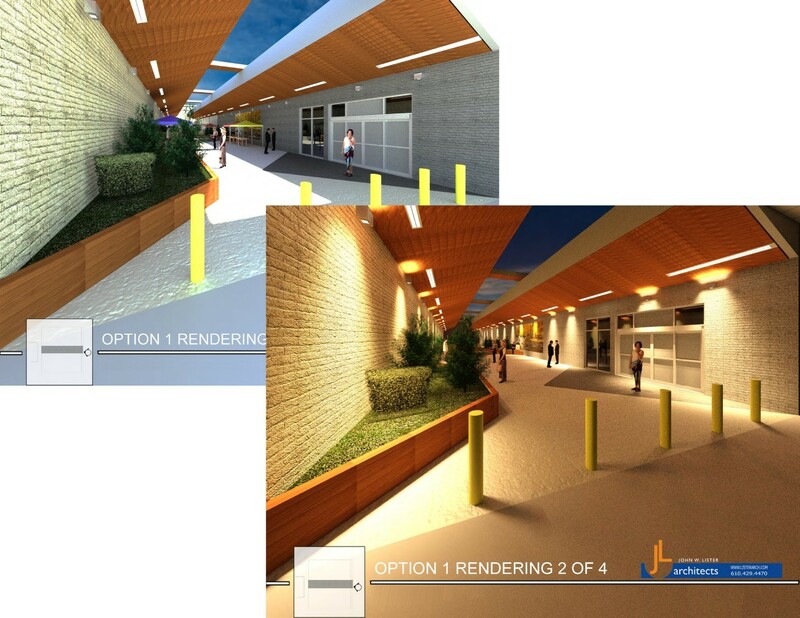 Leasing plans, master site plans, and renderings can help to share the project vision before ever breaking ground. As the project progresses, “what-if” scenarios can be explored to show a prospect how great their brand would look in a shopping center or the environment a business will offer to its team and guests. Our team at JL Architects will make this early vision possible. Whether the project scope calls for a fit-out of a small store, master planning for large development, or anything in between, there are always opportunities throughout the life of the project for us to provide a greater vision. And, it is this vision that will help you reach your ultimate project goals.